Dayak shaman healing ritual mask. 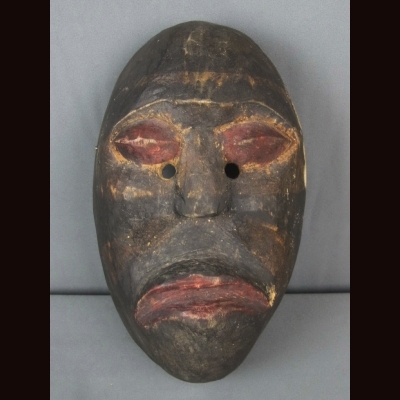 The dukun of the dayak used this mask for healing ceremonies . Carved from wood and painted . late 20th century .